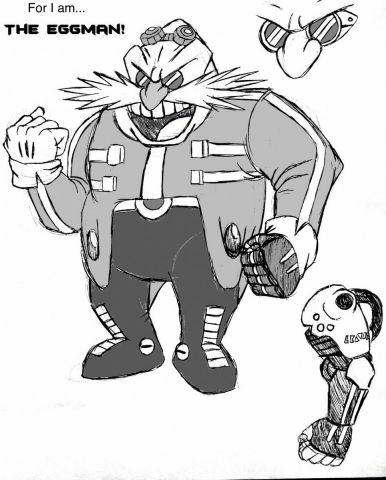 My idea for Robotnik's new look. Having been trapped in the spiraling Void for a long amount of time, Julian slowly fell into sheer madness. By the time he managed to return to the real world, his mind had finally "cracked"... Declaring to the world that he was the Eggman. The design is based around the SatAM Robotnik cosplaying as Eggman, but I added elements of the Fleetway Robotnik to add some threatening intimidation.